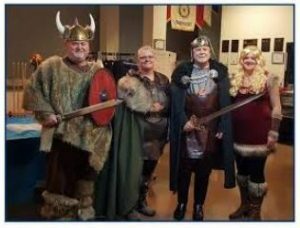 Some of our Department of Oregon officers have close genealogical ties to Norway, so they have challenged the American Legion and Auxiliary to wage “Viking Wars” for membership goals this year. The winner will be treated to dinner at a fine Scandinavian restaurant and the loser will eat some lutefisk at convention! More info and photos to come!